Credit ratings agency, Standard and Poor’s, has revised their outlook on Eskom to stable from negative. This follows Finance Minister Tito Mboweni’s announcement in his recent budget that Eskom would receive R23 billion per year for the next three years. The cash strapped power utility has debt of well over R400 billion and is battling to keep the lights on. Standard and Poor’s says Eskom has secured most of its funding requirement for this financial year and about a third of its funding requirement for next year. Eskom has welcomed the S&P announcement saying this acknowledges the utility’s attempts to improve its liquidity. 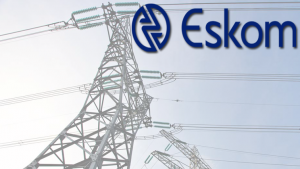 The post Ratings agency revises Eskom outlook from negative to stable appeared first on SABC News – Breaking news, special reports, world, business, sport coverage of all South African current events. Africa's news leader..